Located conveniently in the hearth of Shaw neighborhood in DC, DC Petropolis offers dog grooming services in a safe, low-stress environment for your pet. Safety is our number one priority above all, for the pets and for us. We set ourselves to ambitious standards and aim to provide an above and beyond experience for the client and their beloved doggies. We are experienced in all breeds and have the knowledge to exemplify your pet’s best qualities. We are a boutique styled services that cater to those who think their dogs are not less than a family member. We invite you and your pet to visit us and see why we are a top choice in the community for your furry family member. Sniff around our web to get to know us better. 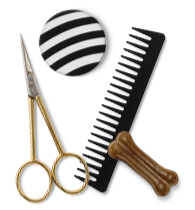 Come and dig our unique, all-inclusive pet grooming salon services. From booking appointments to our grooming policies, we have made is easy to get you started.